Almost certainly no other piece of outdoor equipment is as time consuming, labour intensive and as much effort to make as a pair of walking boots. A fairly straightforward, general purpose hiking boot may require almost two hundred different steps in it’s manufacture. Components have to be selected matched and assembled in a way which gets the best out of each part and creates a harmoniously functioning whole. 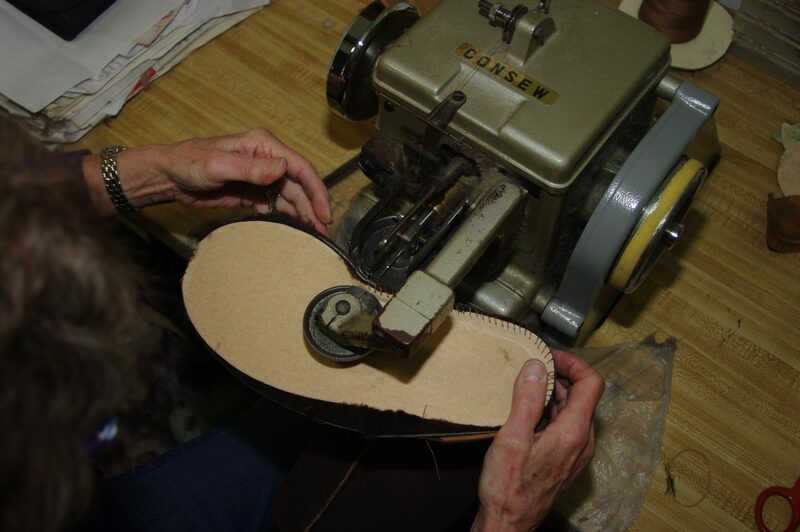 The pace of innovation in shoemaking has also meant that an enormous number of new materials have come into common use through the last thirty years or so. The following is a by no means complete, list of some of the most common materials used in manufacturing outdoor footwear. The granddaddy of all shoe materials. This has been around the longest and is still going strong. Leather is available in several different forms and it is worth noting that some which look alike couldn’t be more different whilst others with a radically different appearance are identical in every way bar the cosmetic. textured finish. This is called nubuk and although the look is different the result is the same; a hard wearing water resistant leather. Sometimes, in a move to psychologically reassure consumers a manufacturer will take the cosmetically perfect nubuk hide and polish it up to look like shiny leather again. The performance is once again the same only the look is different. The only downside to these changes in the cosmetic appearance of the hide is that each step costs money and this cost ultimately feeds through into the cost of the boots. If we as consumers were willing to buy blotchy boots with visible scratches our boots could be somewhat cheaper. As yet no footwear manufacturer seems willing to take the chance. The other way in which top grain leather is used is as reversed leather which resembles but is definitely not, suede. The shiny side is used facing inwards and the rougher face is left exposed. The idea is that the water resistant layer is preserved from scuffing and abrasion and the less solid part of the hide is waxed and treated to maintain the best possible performance in the worst possible conditions. The convention seems to be that this construction is used for the stiffest mountain boots and not on more general purpose footwear but as to why this is the norm it is hard to be certain. It is possible that one type of top grain leather has some slight advantage over another but this is very slight indeed. The greatest factor in durability and performance of a leather boot is regular correct maintenance. Care for your boots and they will last well. Don’t care for your boots and they will scuff crack and fall apart. chance of perspiration escaping through the boot walls and once it scuffs the boot will be virtually impossible to keep water resistant. Split leathers are much better when used uncoated in conjunction with nylon polyester and other synthetic materials in lightweight boots and shoes. They are easily broken in, light and comfortable. 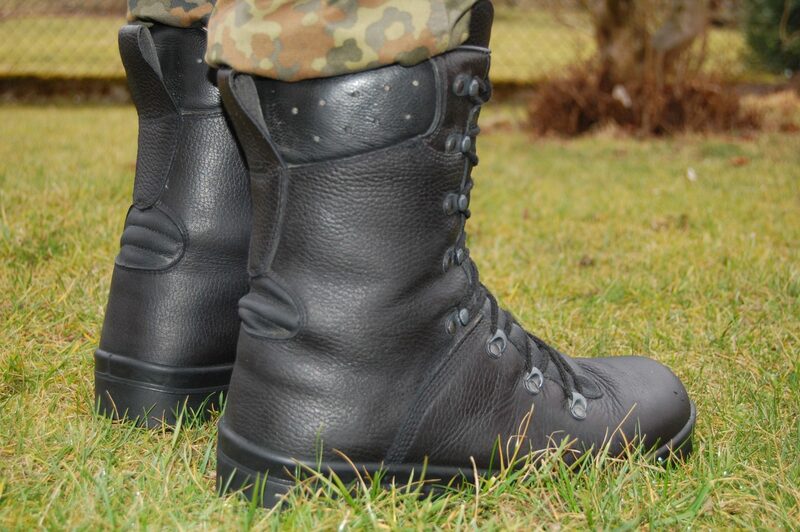 Waterproofing in such a boot comes from a proprietary inner lining such as Gore-Tex,E-vent or Sympatex. Used in small amounts in some light hiking boots and shoes in combination with other materials. Suede is the innermost layer of the hide; too flexible, stretchy and porous to be particularly valuable as a hiking boot material. Ironically it is the stretch which makes it really useful as a material for making rock climbing shoes. These are usually bought small and the four way stretch of suede allows them to bed in around the shape of the climber’s foot. The porous nature of suede allows a better dispersal of perspiration through the upper. Do not confuse Nubuk or reversed leather with suede. The differences are fundamental to how each material performs and the similarities are no more than superficial. Initially appeared in hiking boots as panels strengthened with leather there are now several shoes and boots on the market featuring uppers made entirely from textiles. The majority of these resemble sports shoes on steroids and owe a great debt to the innovations in design and construction pioneered by the makers of running shoes but there are some boots even at the extreme mountaineering end of things which perform at the highest altitudes and worst conditions which are entirely synthetic. Nylon is hard wearing, weatherproof and light. Polyester linings help move perspiration out of the boot. Kevlar is very tough and used on areas of high abrasion and synthetic leathers such as galaxy and Lorica (Which is named after body armour worn by Roman soldiers.) are used as reinforcement to and replacement for leather especially if the boot is to be used in a wet environment as they do not absorb excess moisture. Since the nineteen eighties when lightweight fabric boots first appeared on the scene there has been a difficulty in rendering them weatherproof for those of who live in a damp climate. The first attempt was to add a layer of polythene into the boot lining. This had the twin disadvantages of being easily torn and being a plastic bag around the foot. Later, more successful efforts have been based on the development of waterproof, breathable membranes inserted in the boot or shoe. There are now innumerable brands of these on the market and all offer varying degrees of breathability and generally a much higher degree of water resistance. So long as the liner is unbreached the boot will remain waterproof from the liner in. A liner will not prevent the outer part of the boot soaking up water and a sodden upper will reduce the breathability to virtually zero therefore it should always be borne in mind that the liner is best used along with rather than instead of waterproof treatments and sprays for best effect. Any liner no matter how good will impair the breathability of the boot or shoe. This should be seen as the price you pay for the shoe being waterproof. Given that the breathability of any boot lined or otherwise is quite poor to begin with this reduction may create quite a damp micro climate in the boot. If moisture control is very important don’t get a waterproof lined boot. If this is not possible then get used to changing your socks during the day and airing your boots as much as possible. There is not yet such a thing as 100% breathable in any footwear. Even super light, super breathable running shoes get a bit damp during a long jog. As with textiles a variety of different kinds of open and closed cell foam make up the padding in lots of footwear. Some are memory foams which retain the shape of the foot around which it pressed others smooth out the inner morphology of a shoe to help give a more human shape. Foams can make a boot more comfortable but sometimes at the cost of making the boot much warmer to wear and they may help retain moisture in the upper. Some cheap boots disguise their problems with prodigious amounts of padding so that what initially seems like a soft, comfortable fit may soon be exposed for a foot mangling disaster. Good quality boots will pass this settling in period and still be a good fit.